Why won’t this satellite finder work for SWM? 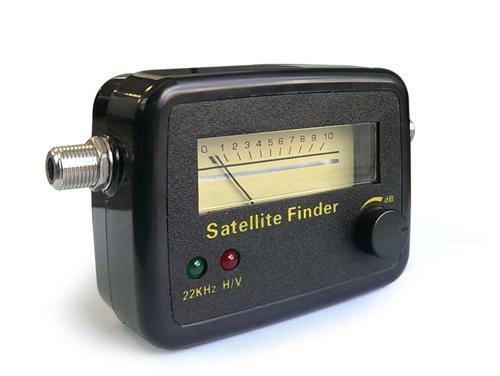 It’s a great little tool and the price is right… but this Solid Signal Satellite Finder won’t work if you are trying to aim a SWM-enabled dish. It works fine with a round dish or even a non-SWM HD dish, but if the SWM is built into the dish itself, this satellite finder will leave you frustrated, and without a picture on your TV. That’s because this satellite finder is essentially a very simple radio receiver. It looks for the L-band signal produced by your satellite dish, based on the Ku-band signal from DIRECTV’s primary satellite and if it “hears” it, you see the meter move. There’s not a lot more than that to it. Unfortunately SWM technology operates completely differently. DIRECTV’s SWM technology relies on a receiver to “request” a signal before it provides one, and when it does provide on, it can be on any of 8 different frequencies. A simple satellite finder doesn’t know what to do with this information if it “hears” it and doesn’t know how to “request” it. In order to do all of that fancy stuff, you need a meter like the SatLookLite. It’s a lot more expensive but it lets you zero in on the signals from many different kinds of dishes including the DIRECTV SWM-enabled dish, and that will help you get your dish set up so you can get down to watching what you want. Is it better to use barrels on your wall plates or just run the cable straight through?